A new car is an ecstatic feeling. Buying a car means extra convenience and also the luxury of traveling as compared to using other modes of transport. It is very important that your car is worth the money you are spending on buying it. Gauging your basic requirement regarding a car will determine the type of car you should buy. You can either buy a hatchback which has a seating capacity of 4, a Sedan, or an SUV (Sports Utility Vehicle) which usually has a seating capacity of more than 5. Apart from this, what is the purpose of buying a car? Do you want to use it on weekends only? Do you want to drive to work? Keep answering questions like these to form a base for finding your perfect car. Today’s market is filled with a variety of models which offer multiple features. You name it, they have it! Deep diving and researching about a car which suits your requirements and budget are the keys here. Compare various car models and their features with the help of the internet. Your ideal car should be easy to maintain. In case of failing parts or damages, spare parts should be easily available. Doing a research will definitely help you narrow down a few decent models. Next comes the fancy things like the choice of paint, wheel covers, upholstery etc. Finance for buying a car is easily available nowadays. If you wish to buy a car which is slightly out of your budget, you can opt for a car loan. You can repay the loan in equated monthly installments which is popularly known as EMI. This allows you to repay the loan in small chunks each month so you don’t end up feeling a financial burden. Buying insurance for your car is mandatory. Keep in mind that you are free to choose the insurance provider and it is not mandatory to buy the insurance policy from your car dealer. Car insurance is of two types- Third-party Liability Insurance and Comprehensive Insurance. You would want your car to be financially protected with insurance, thus only a third-party insurance will not suffice. Buying a comprehensive car insurance policy will ensure that you can raise a claim if your car gets damaged. Before buying the car, use a car insurance premium calculator to get an idea of the amount of premium you’ll have to pay. Buying a car without taking a test drive is like going on a blind date. You have no idea how the person will be and you have invested too much time already to change your mind at the last moment. Go for a test drive to check your level of comfort with the car. Can you see the road comfortably? Can you operate the car smoothly? Do you like the features? The answers to these questions will influence your final purchase. #6 Brand New or Secondhand? Buying a new car can sometimes be out of scope due to a number of reasons. In such cases buying a second-hand car happens to be a great option. Taking a test drive to get an idea of the performance is very important. If you decide to buy the car don’t forget to get the ownership transferred in your name. Car manufacturers provide a host of services for your use after you purchase a car. These could include free maintenance services, towing facilities, roadside assistance insurance etc. After you select a car make sure you check all the services being offered as well. 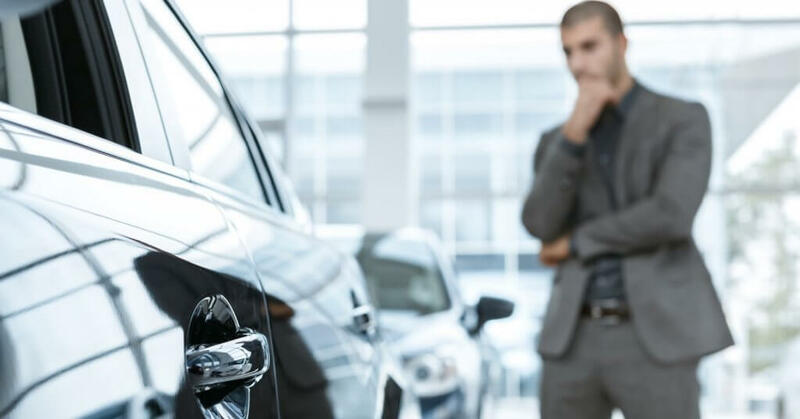 Before buying a car, it is important that you know about your purchase and the services being offered along with the car. Also, you need to carry certain documents while driving your new car. These documents include the Registration Certificate (RC), Pollution Under Control (PUC) Certificate, Car Insurance and your driving license. If you forget to carry any of these documents, you will be liable to pay fines.